Can't choose? You don't have to. Try them all! This sampler serves an excellent introduction to Chinese teas and represents a variety of styles and..
Advanced oolong sampler of three very different teas for a choosy tea drinker. Included:Top Grade Ts.. 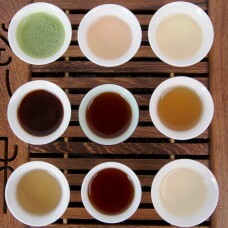 This sampler serves an excellent introduction to Taiwanese teas and represents a variety of styles a..